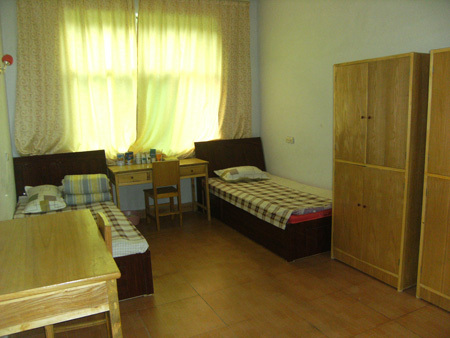 There are shared showers and wash rooms each floor of school. We offer 24 hours per day hot water showers.A laundry room on the first floor is also available for students to do washing. 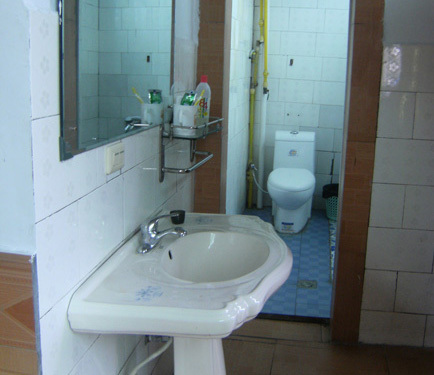 The photos of school washing room with western toliet.